Simply put, it’s time to grow. With over 320 locations already in the US, Latin America and China, Grease Monkey has launched an aggressive new franchising initiative aimed at strategically expanding our presence in the U.S. and international markets. It’s all part of our “Less Hassle, More Hustle” philosophy - a conviction that’s helped build our reputation as one of the nation’s most trusted quick lube franchise companies. Grease Monkey knows that time is valuable to our customers and that consumers come to Grease Monkey because they want to get in and out quickly. With that in mind, Grease Monkey is the first in the quick lube industry to roll out a time guarantee to the consumer. If, for some reason, Certified Pit Crew does not live up to our time guarantee, we will refund back $1 for each minute that we are over the promised time. Service Done Right. On Time. Guaranteed. Our development options range from a standard three-bay oil-change and preventive maintenance franchise to an 8-bay full service maintenance facility, and a Monkey Shine Car Wash facility can be added to any set-up. Whatever options suit your needs, we’ll help you determine the optimal configuration. What’s more, since we are not owned by an oil company, we are able to negotiate national vendor contracts at the best possible prices. It also means consumers can feel confident that we’re looking out for their vehicles, not just pushing a particular brand. 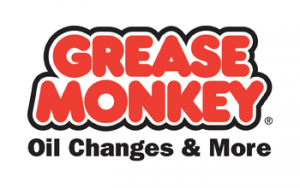 With industry-leading franchise operating systems, outstanding franchise support platforms and tremendous growth potential, the Grease Monkey and Monkey Shine brands represent unparalleled franchise opportunities. It’s time to capitalize on the Automotive Repair Aftermarket and Maintenance industry’s long-term growth by joining Grease Monkey’s national expansion. With new single and multi-unit franchise opportunities available across the country, we’re looking for exceptional partners to grow with us. If you share our passion for superior service, we invite you to start the process towards becoming a franchisee today. The Monkey Shine brand is the first carwash franchise run by a franchise company, not an equipment manufacturer or distributor. We have spent years assessing the hundreds of car wash equipment options to identify the best providers, and we’ve negotiated special pricing and extended service packages for our franchisees. Get started today! Please request more information below now.